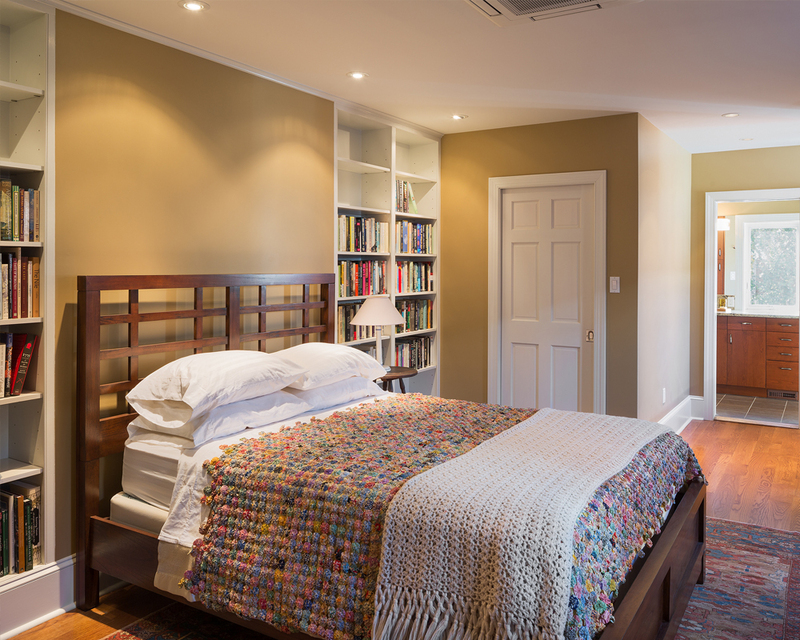 inHabit was hired to create a guest suite and roof deck for an outdoor-loving city couple. 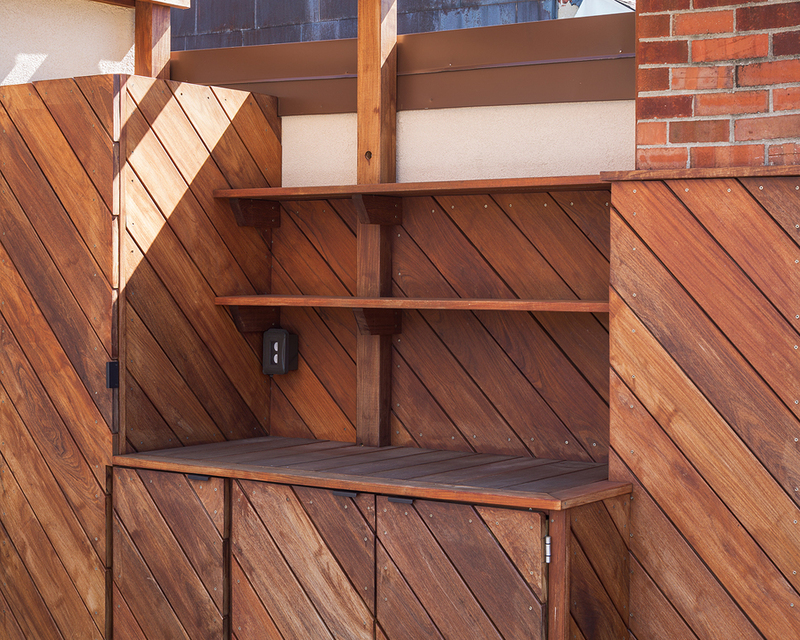 In addition to providing an inviting outdoor space with shade cover, the construction had to prevent the home's common problem - carpenter bees. The design born of these requirements included a deck constructed of insect-resistant Ipe wood with a trellis tucked against the house and an adjacent wall. The curved shape of the trellis creates dynamic shadows on the deck that change with the seasons and time of day. Built-in planters double as benches to accommodate entertaining. 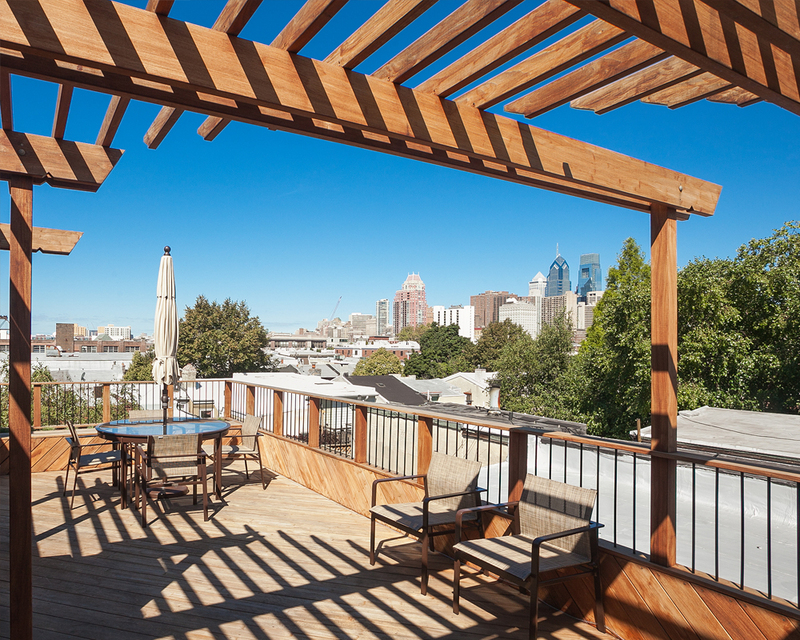 The deck's diagonal board pattern draws the eye to the skyline beyond. 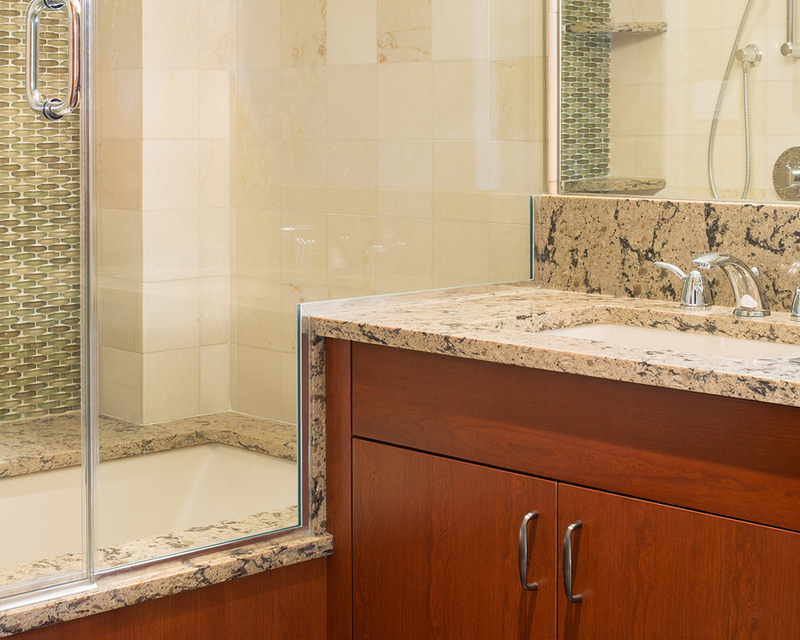 The guest suite consists of a large bedroom, kitchenette to service the roof deck, and a luxurious bathroom. 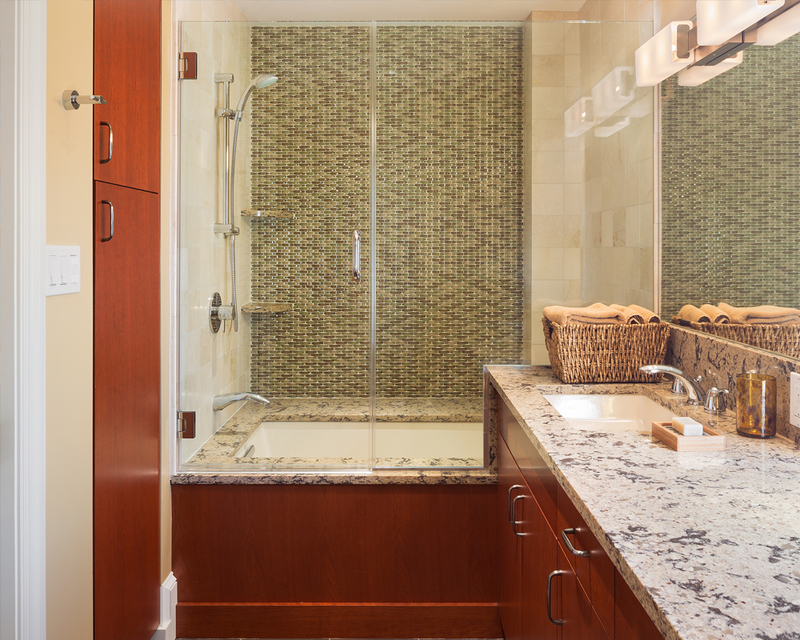 While not large in square footage, the bathroom includes details that provide a feeling of openness and visual calm.